They’re making a movie about Avatar: The Last Airbender, which, although an American cartoon, is set in an Asian fantasy world with loads of Asian culture and an Asian cast. Now they’re making the live-action movie. Half of the cast is white. 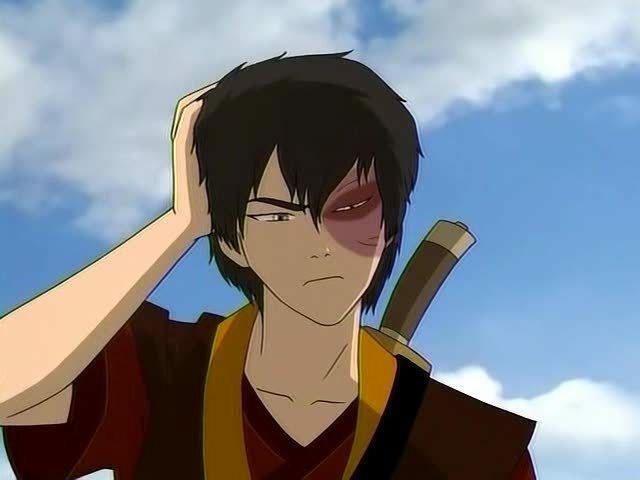 But Zuko’s played by Dev Patel (Slumdog Millionaire) so it’s all good. Oh, and I freakin’ love Dr. Horrible’s Sing-Along Blog! Their eyes always look a different color to me (as well as their skin); like Sokka’s and Katara’s skin is usually darker than that and Katara would have purple eyes, but then they make it blue sometimes. So I always get confused as to their true eye color. They do look more Asian usually–just not in that picture. Really? Aang’s people (kid in the yellow and orange) are meant to be based on Tibetan monks, Katara and Sokka (in the blue) are meant to be Inuit (granted, not Asian). 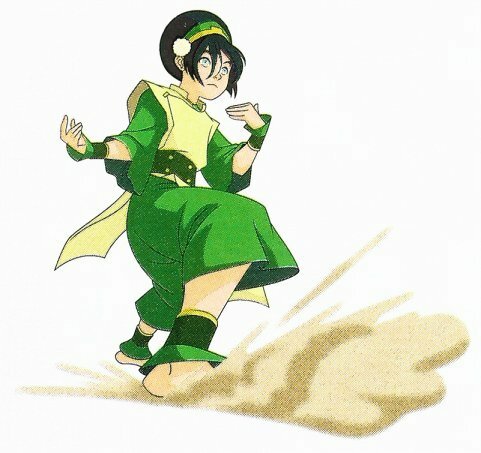 Also, look at the other main characters: Toph (first image) is meant to be Chinese (I think) and Zuko (second picture) and his sister Azula (third picture)… well I’m not sure about them actually. Oh, damn, wrong image tags. Can someone fix them? For some weird reason, whatever is supposed to show up her doesn’t work on my computer…So I can only guess what the heck you guys are talking about. I feel the need to add that it’s an awesome show. And if you saw it you’d definitely pick up the Asian culture. All of the writing is classical Chinese, for a start. They do (sorta). Three of the firebending characters can also shoot lightning. Three of the characters can also redirect lightning thrown at them. I mean, I could understand water and ice, or earth and metal. But electricity and fire? I don’t think Dev Patel is asian. Yeah, I know he starred in Slumdog Millionaire and he looks like an Indian, but I read somewhere on the net that he’s officially a brit. Correct me if I’m wrong. His ethnicity is still Asian, presumably. He may indeed have British citizenship, though. Iroh:Lightning is a pure expression of firebending, without aggression. It is not fueled by rage or emotion the way other firebending is. Some call lightning the cold-blooded fire… There is energy all around us. The energy is both yin and yang; positive energy and negative energy. Only a select few firebenders can separate these energies. This creates an imbalance. The energy wants to restore balance and in a moment the positive and negative energy come crashing back together. You provide release and guidance, creating lightning. Convoluted? I don’t see a problem with it. In real life, lightning happens when there are positive and negatively charged particles in the air; which are opposites of each other. When there is enough of a charge, they cancel each other or attract each other causing plasma (lightning) to appear because of the energy it took for the particles to move. (Now, I’m no expert, but I think that’s how it works). I no longer have faith in Hollywood. Live action films hardly ever do so well, especially if it was once a cartoon! UGH! Alright, most of the marvel movies (get outta, line X-Men, you disappointed me!) did pretty well (pat yourself on the back, Spiderman 3) at the box-office. But sometimes, it just doesn’t feel…right. Example: In maybe 4 years from now, would anyone like to see Naruto in a live-action film. Would anyone want to see the Rasengan, Rasenshuriken, or sharingan put into real life???!! “I don’t get why they couldn’t ask somebody Asian to play Goku in Dragon Evolution”. Probably because asian actors are busy acting in asian movies. Ehh. If I were Jackie Chan or Jet Li or the like, it would have taken roughly five minutes with the script to confirm that the movie is a trainwreck in the making. I don’t get why people are complaining about Goku. The guy is an alien from another world. The fact that he looks human at all is a staggering coincidence. Dragon Ball Z is Japanese. That is Asian, dude. But Goku is an alien. He’s not Japanese. He’s not even human. But….I think that generally Akira Toriyama sourced the DB characters on Japanese people, and stuff. And Goku is a Saiyan. And all the Saiyans look awful human-like to moi. You had faith in them in the first place. Deception, sleaze, greed, and evil are the seed from which Hollywood were born. And I love every bit of it’s grime. I love that all the careers I like have terrible dark sides. A splash of realism in my lake of dreams. I think that if these Asian-style movies would just bother to let Asian people audition, they’d see a crapload of undiscovered talent waiting to be discovered. I cannot believe that Avatar is going to be turned into a live action movie with Caucasian actors. I don’t have anything against white people, but I think Avatar needs to star Asians if it wants to retain it’s Eastern feel. I have nothing against Caucasians, but… darnit, if you want to retain its Eastern imagery, we need ethnic realism in this movie. I’m sorry, Freddie Highmore, you’re not what I’m talking about. Personally I’m not actually that bothered about the casting. But this is like one of my favourite shows of all time so I really hope they don’t screw it up. I am also quite fearful for the constantly-brought-up-and-constantly-canceled Ender’s Game movie. Bean better look like he’s got some color in him! —Gurion Omega, the scared guy. Apparently they’re trying to erase any asian ethnicity from the movie..
-Firebenders won’t be able to firebend until there’s a fire source nearby. Meaning that they can’t create fire directly. They have to just ‘move’ it from a fire. -The Chinese letters going to be used are CONFIRMED to be just scribbles that have no meaning whatsoever. WereViking, Nami A! Have either of you ever played Simpsons: Hit and Run? Because you seem practiced at it. What about the Wachowski brothers and Ninja Assassin? They had a Korean male lead and and black female lead…it’s kind of pathetic how ‘progressive’ an Asian lead is. If anything, Asian male actors aren’t well known in Hollywood, unless if they know martial arts. As for the Avatar movie, I heard that Shamaylan was a fan of the series, so I’m hoping the creators get a lot of input. Hopefully, that is. Aang’s actor won an international martial arts competition, so I don’t really have a problem with the ethnicity change. As for the role of Katara, she…well…not too sure about her acting, or how she looks the part. Also, just to add to Nami.A’s comment…exactly how reliable is the source, considering the website seems to be primarily focused on the *gasp* race change of the actors? They’re cartoon characters, and they live in an alternate fictional universe, so their race can be left ambiguous. Just like that Naveen guy from Princess and the Frog, ambiguously brown.